The decision between leasing or buying new trucks often comes down to dollars and cents, and can have far-reaching effects on a company’s long-term finances, industry experts said. The choice “is one that can impact an organization’s bottom line not just today but for years to come,” said Brian Holland, chief financial officer and president of Fleet Advantage, which provides asset management, financial services and consulting to clients operating Class 8 truck fleets. “Factor in the need to make this decision on hundreds of trucks, and this decision can impact your bottom line by the millions,” said Holland, who is a member of the board of directors for the Equipment Leasing & Finance Association. It’s a decision that may get more complicated as some fleets must start complying at the end of next year with updated accounting standards regarding leasing equipment. It’s the latest wrinkle in this age-old debate, in which many factors are at play, including finances, maintenance, the increasing complexity of new trucks, and, importantly, experience. “For us, the total cost of ownership on buy versus lease is hands down to buy,” said Mike Gannon, chief operating officer and group president for fixed assets at CRST International, a Cedar Rapids, Iowa-based for-hire carrier with 6,000-plus trucks. “We just pay cash for the trucks. We don’t finance them,” Gannon said. “We’re debt-free, and we haven’t financed a truck buy in 20 years.” CRST ranks No. 19 on the Transport Topics Top 100 list of for-hire carriers in North America. Generally, CRST buys new units for its companies that run a lot more miles and then transitions them in later years to sister companies that run fewer miles, Gannon said. He noted that CRST often holds on to a truck for five to six years and replaces one-quarter to one-third of its trucks every year. The only instance in which CRST would lease is for a specific, dedicated application with a short-term life, Gannon said. However, Steve Goodale, vice president for Daimler Truck Financial — the captive financial services provider for Daimler Trucks North America, which builds Freightliner and Western Star trucks — said that some fleets, especially larger ones, choose leasing for reasons tied to taxes and the company’s cash flow. “A larger fleet may not need the depreciation benefit that comes with financing and decide to take advantage of leasing’s lower payments, which allows them to simply expense the monthly lease payment,” he said. But with those lease payments may come interest expense, which is a deterrent for Marty Nordlund, senior executive vice president and COO at for-hire carrier Werner Enterprises Inc.
“Historically, we’ve been a debt-free company, so to go out and lease something, and have that interest payment on top of it, doesn’t interest us a whole lot,” he said. Werner is “almost 99.9% own” and will continue to buy, Nordlund said. “We want to be able to get out of that asset at the right time,” he said. The only time Werner leases equipment “is if we feel the need to test new technology or potentially something that we haven’t previously purchased,” Nordlund said. About 10 years ago, that type of concern compelled some carriers to look toward leasing — around the time the Environmental Protection Agency adopted stricter clean air rules, said Jim Lager, senior vice president of sales for Penske Truck Leasing. Penske has 260,000-plus commercial vehicles on the road today, he said. Uncertainty about the new emission equipment manufacturers began adding to trucks to comply with those rules "started to drive people to outsource," Lager said. Even today, with trucks more expensive and complex than they used to be, he noted that for some fleets it has become extremely difficult to diagnose and address maintenance problems. “Even fleet operators that had some scale, that had a number of trucks and they could do this in the past, are finding it difficult to do that now,” Lager said, noting a majority of its customers are smaller fleets with three to 10 trucks but that some run thousands of units. Goodale said for smaller fleets, especially if the equipment is mostly on the road and away from a centralized base of operations, a full-service lease can be attractive because it provides a large network of service points. Chris Sample, area operations manager for PacLease, the leasing arm of Paccar Inc., parent company of Kenworth Truck Co. and Peterbilt Motors Co., said that leasing — from an asset-management standpoint — reduces the risk of obsolescence. “As the price of trucks continues to rise, so does the demand for a leasing solution,” Sample said. Instead of spending more than $100,000 to purchase a depreciating asset, many businesses see the value of having money for acquisitions, adding a location, or “any other investment with a positive ROI,” Sample said, noting that leasing shifts the risk of a truck’s residual value to the lessor. Lager said a fundamental part of Penske’s business is a closed-end lease. When a customer signs a full-service lease with Penske, they know what their payment stream will be — there won’t be much fluctuation, he said. Penske’s full-service truck leases typically run five years. 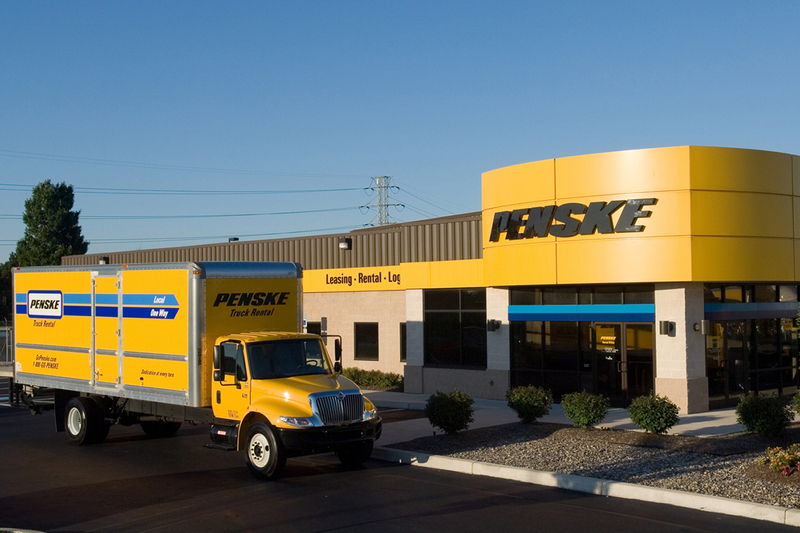 Included in Penske's full-service lease are all maintenance services, substitute vehicles if needed and helping fleets with compliance issues, he said. And when the lease expires, Lager said those lessees aren’t obligated to that truck — they’re not on a TRAC lease or don’t own the truck. A terminal rental adjustment clause lease, or TRAC lease, combines the advantages of leasing while retaining the option to purchase the equipment at the end of the lease term at a predetermined residual price, which is set when the lease starts, according to the website of American Financial Partners. With the ongoing advancement of technologies in the trucking sector, including emission equipment and also electronic onboard improved safety and telematics systems, some fleets “may find that shorter equipment life cycles available through leasing allow them to adopt new technology more quickly and ensure that their equipment is as current as possible,” Daimler Truck Financial’s Goodale said. But, he noted larger fleets often have the expertise to handle those challenges. “We find that most large fleets prefer to manage maintenance on their own, as they have the facilities, expert staff and logistics that makes applying the needed resources possible,” he said. For Werner, which ranks No. 16 on the for-hire TT100, a combination of in-house and outsourced maintenance works well, said Scott Reed, the carrier’s senior vice president of maintenance. “Managing the equipment on miles is a very challenging task, but we do it very well,” he said. The company has 14 full-service internal service facilities and also uses outside providers, he said. Attempts to speak with Ryder, another large truck lease provider, were unsuccessful.